“Frittering” away the minutes !! “Yours truly” had no desire to attend the CARE Halloween party at 2:00 PM. Instead, the old lady sat on the white step stool and systematically removed the electronics from the candle. 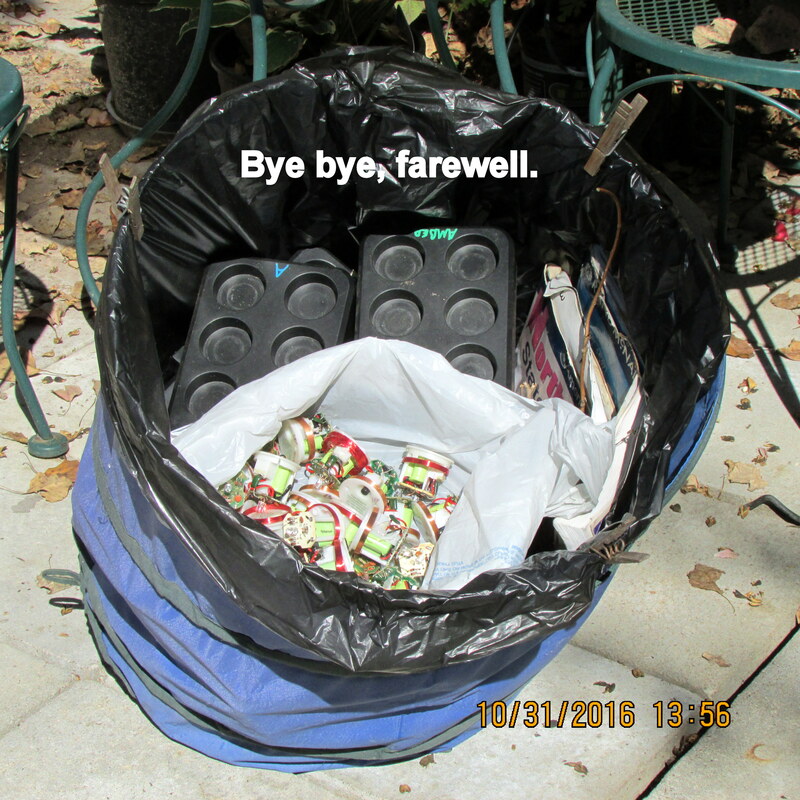 The candles were destined for “the dump” after the CARE Thrift ‘n Gift yard sale a week ago. 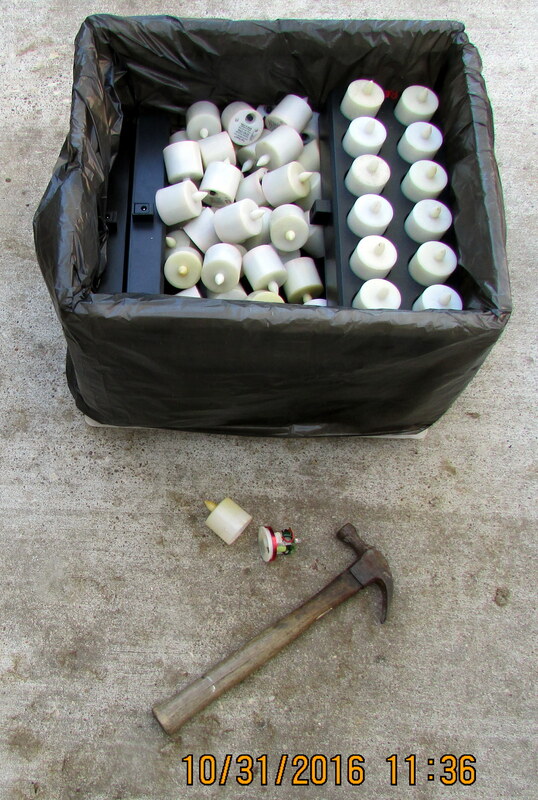 I rescued them, and boxed them neatly. Surely they would be appreciated by a local craftsman? Coincidentally, providentially, the man (craftsman) was at the CARE Center early this morning and I told him I had a treasure for him. Come to find out, he donated them because they don’t work. 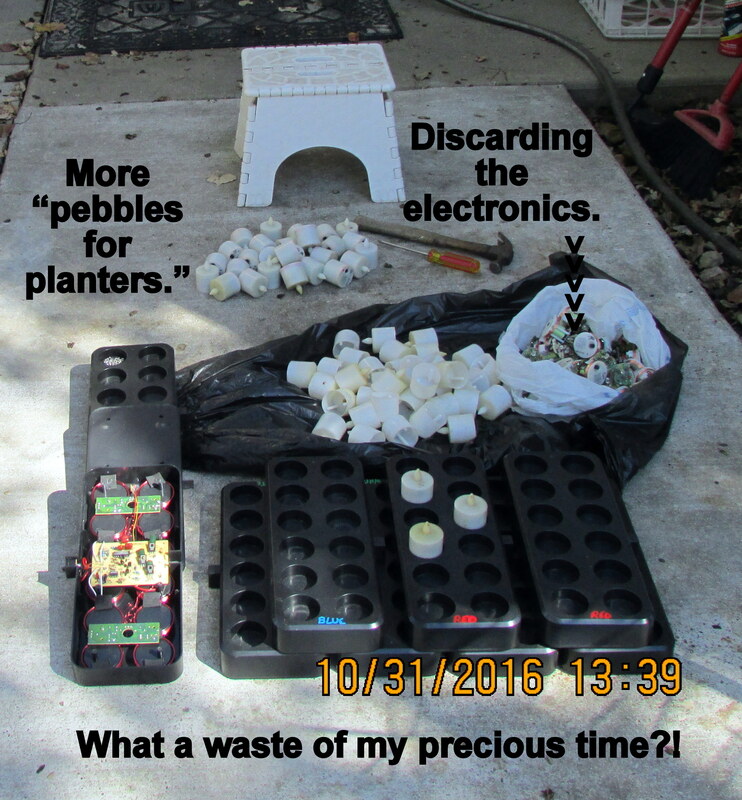 So-o-o-o, in the interest of salvaging them, I took them apart, discarded the electronics, and will add the small plastic pieces to my “pebbles for planters.” Such a waste of my precious time?! I disagree. Time spent with good intentions and thinking of others is never wasted.